Find a new Jeep Cherokee at your local Staunton, IL Jeep dealership. 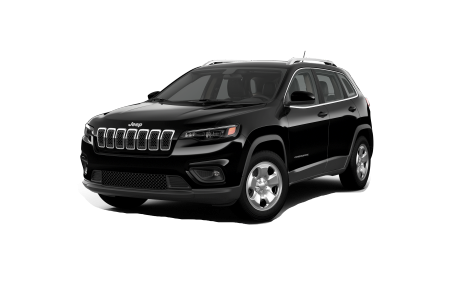 Overview At Staunton Chrysler Dodge Jeep Ram, we're proud to offer the Jeep Cherokee to our customers in Staunton, Illinois and beyond. Jeep Cherokee stands for off-road ruggedness, family sized excitement and true modern adventure. The Jeep Cherokee provides the ultimate driving experience for those looking for unparalleled 4x4 capability while still wanting a vehicle perfect for a short drive or a weekend getaway. Visit our Jeep dealership in Staunton, IL today for an exciting test drive. Why Us? At Staunton Chrysler Dodge Jeep Ram, our focus lies in providing our customers with an enjoyable car-buying experience. Whether it's their first time buying with us or they are just interested in stopping by to see what's in stock, they know they'll always be treated with respect. Our automotive finance team is here to do the same, and it starts with offering online financial tools, such as our auto payment estimator, to help making the buying process that much easier. Stop by our Staunton, IL Jeep dealership today to get the process started. Our automotive service center is equipped to deal with any auto maintenance or car repairs you may need over the lifetime of your vehicle, starting with our team of certified car technicians. Our service team at Staunton Chrysler Dodge Jeep Ram is ready to tackle everything from oil changes to brake repair, even full transmission replacements. Stop by our Staunton, IL auto service center today or give us a call to schedule your next service appointment!